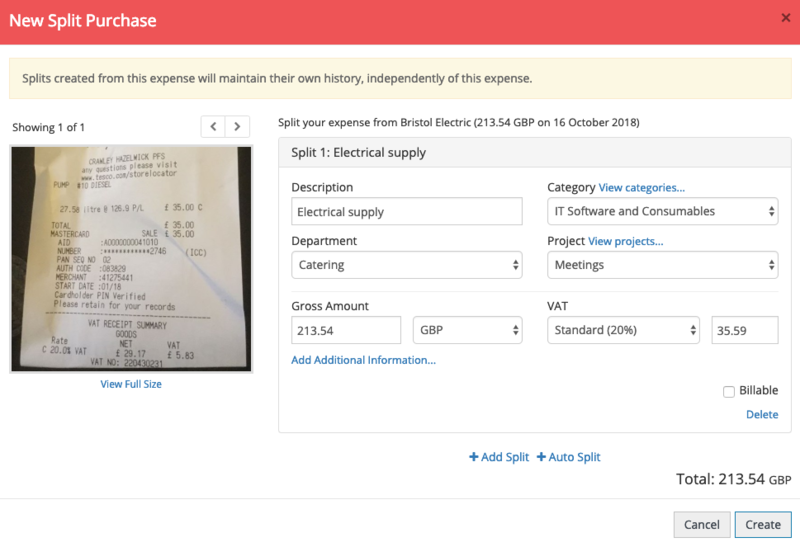 Create a Split of a Draft expense in the Draft section of your My Expenses. 1. 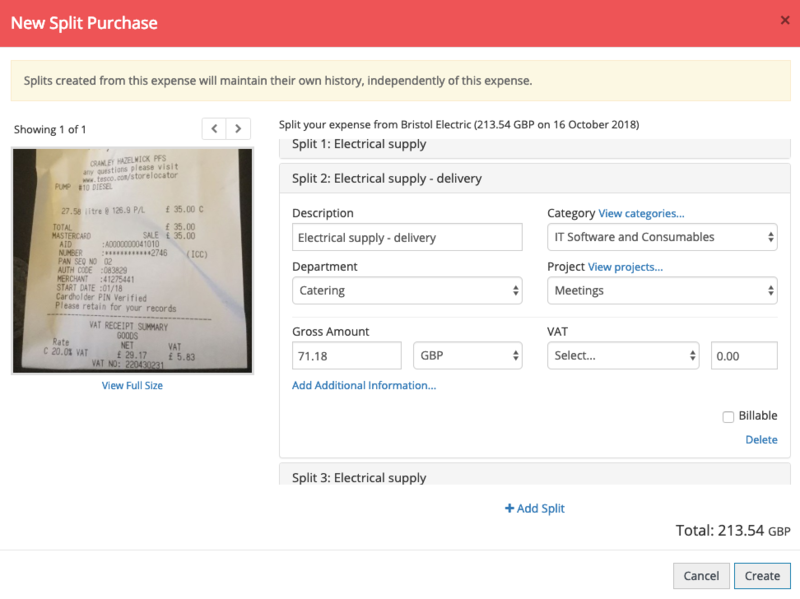 Click on the Draft expense you wish to Split and click the Split button. Click +Auto Split to allow the system to split the original Draft expense amount evenly for you. 3. Click on the Split 2 line and add a Description. 4. 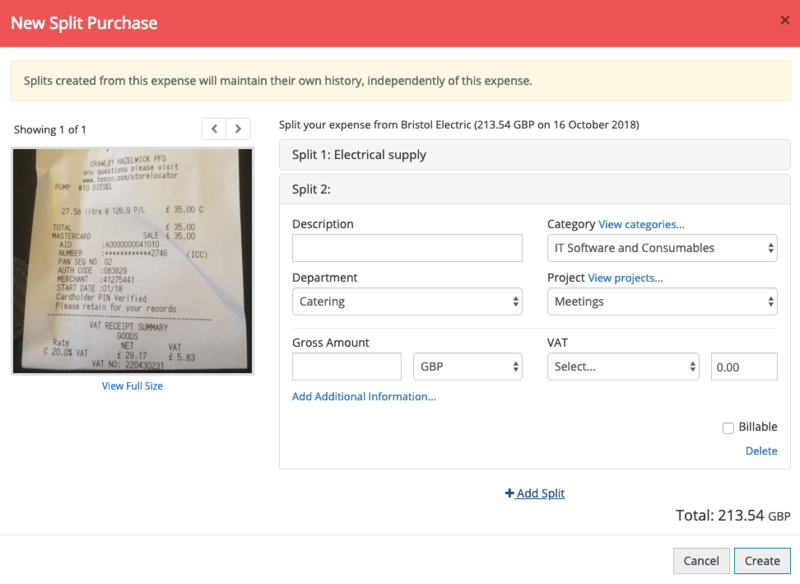 Change the Category, Project, Gross Amount and/or VAT for the Split. If you have override Department turned on you can also change the Department. 5. Click +Add Split if another Split is required and repeat steps 3 and 4 for each new Split added. 3. Enter the number of Splits you would like to create in the Auto Split box and click OK.
4. Click on each Split to change the Description, Category, Department, Project or VAT for each Split. 5. Click Create and the Split Draft expenses will be created.